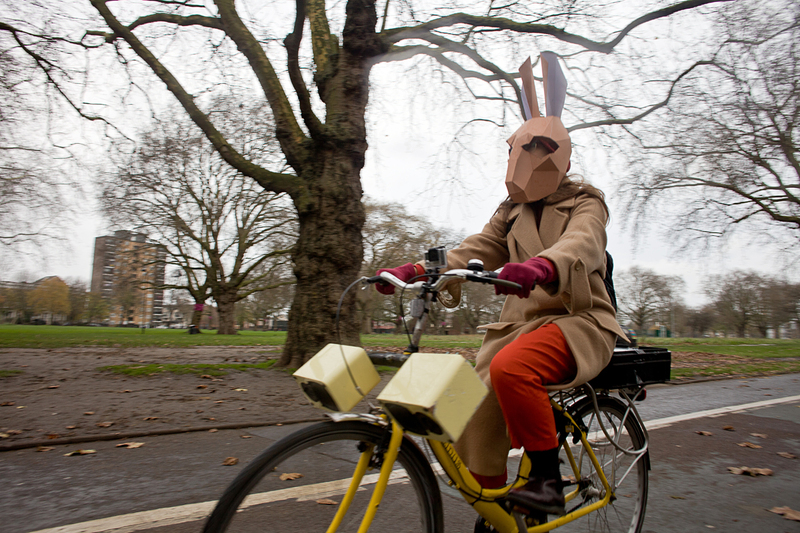 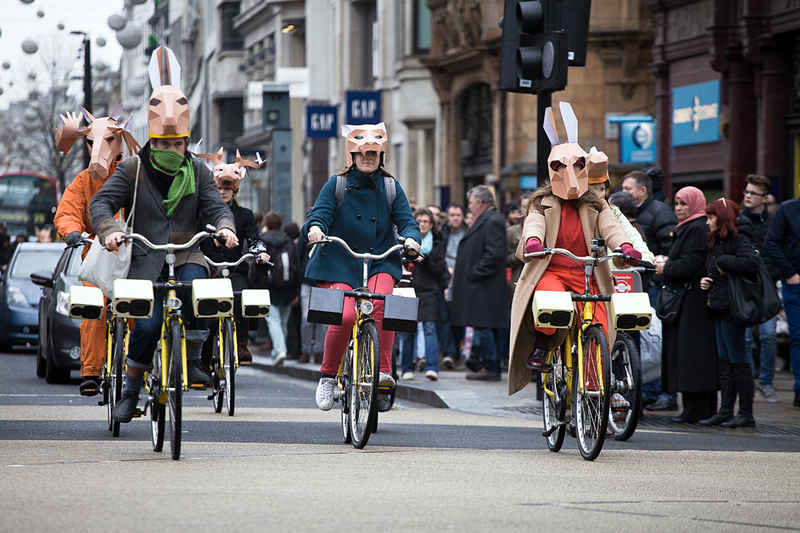 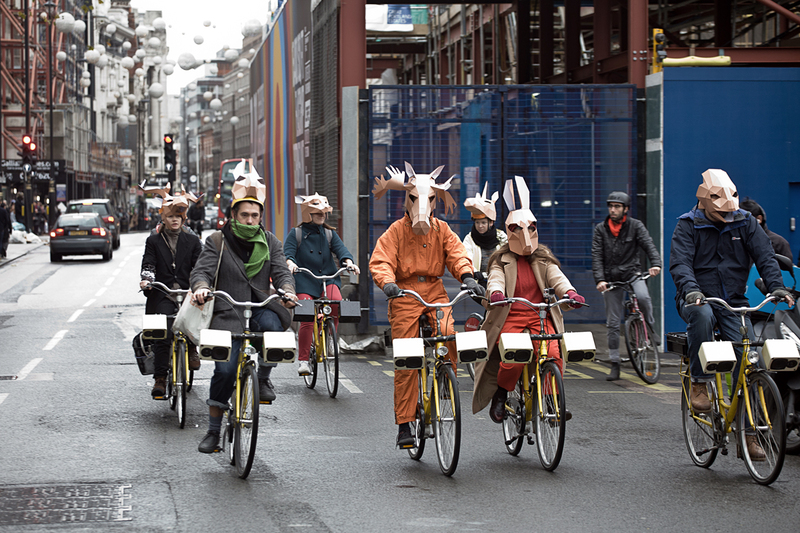 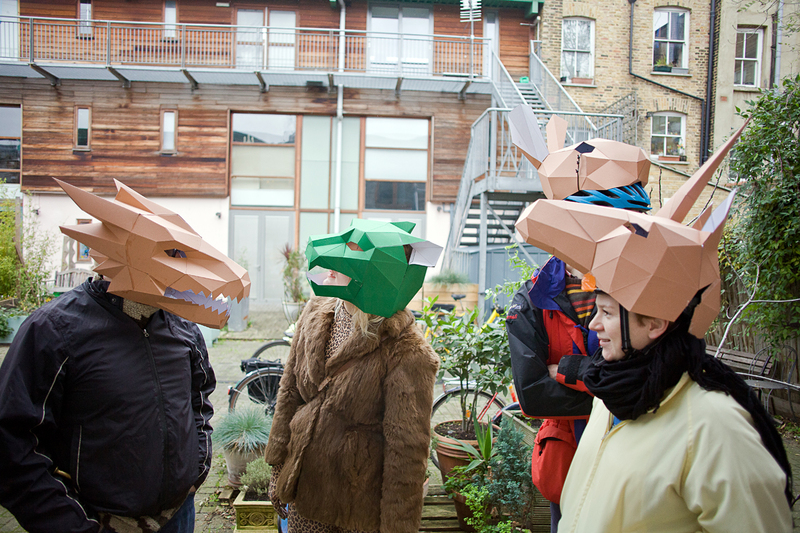 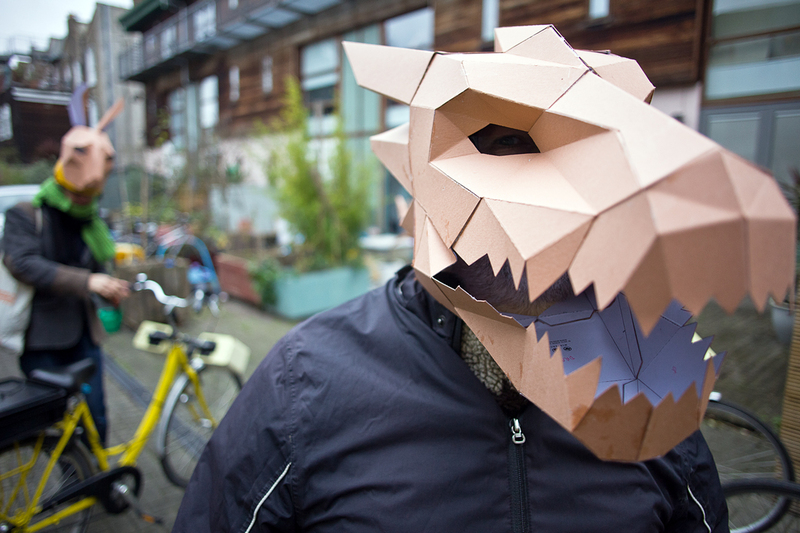 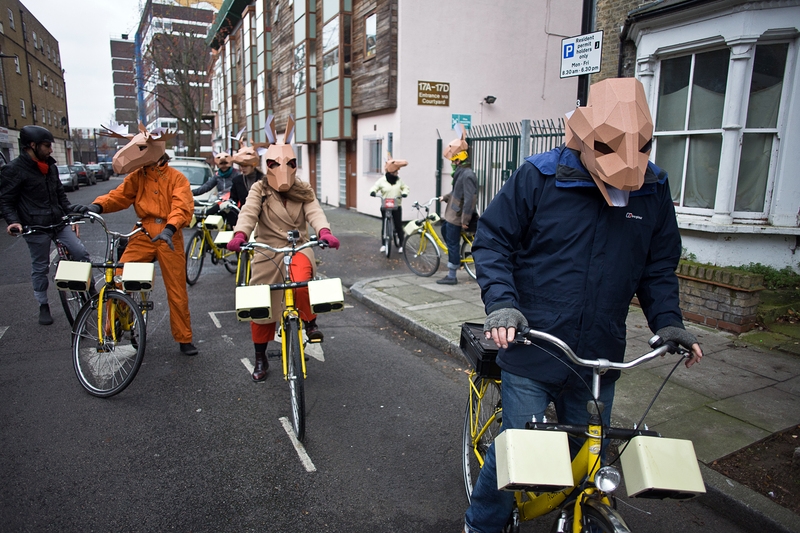 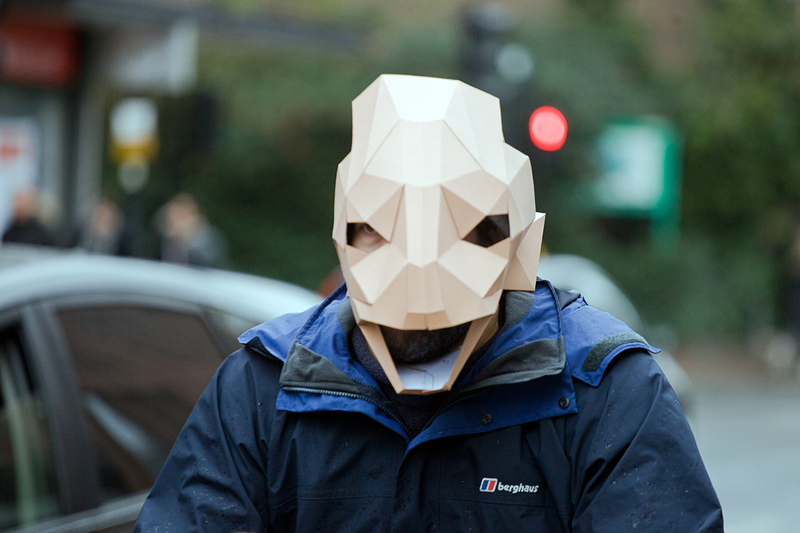 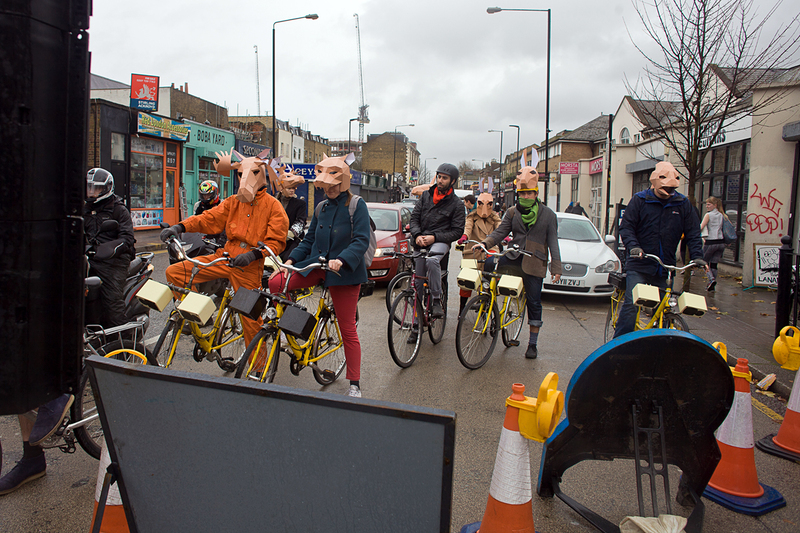 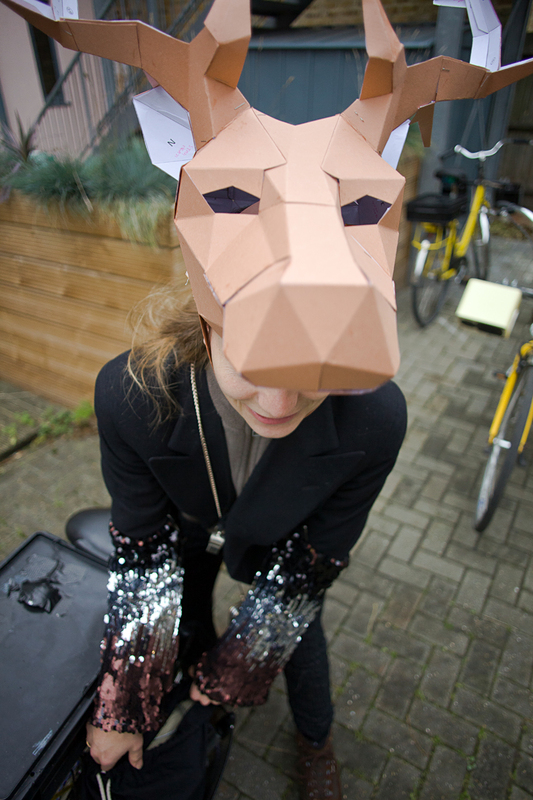 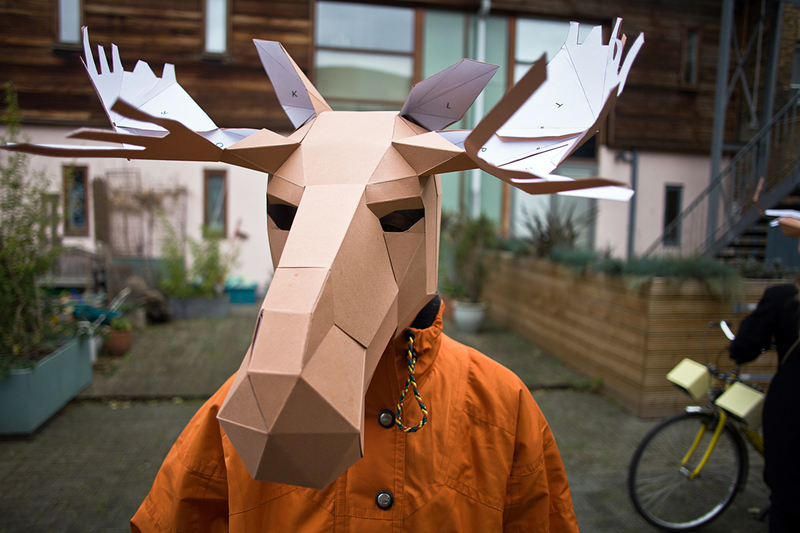 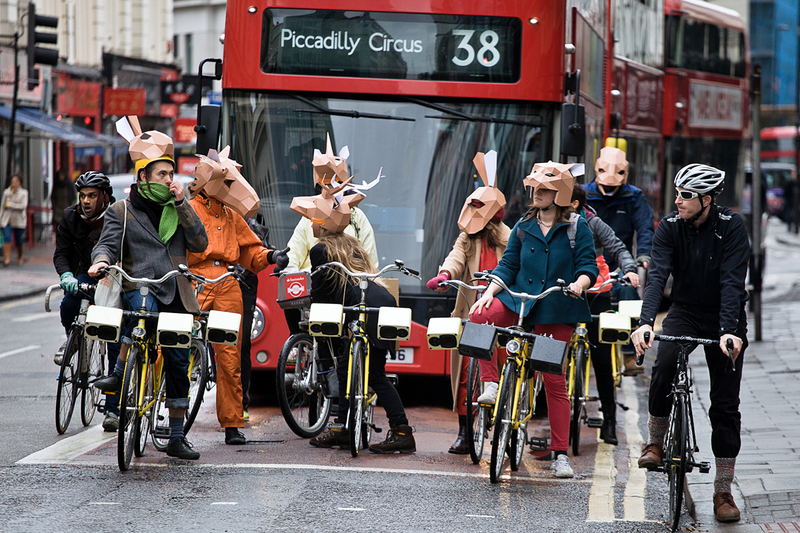 Animals March was a sonic bike ride made by a group of London bicrophonic artists as a response to the Peoples March for Climate Justice and Jobs, London, November 29th 2015. 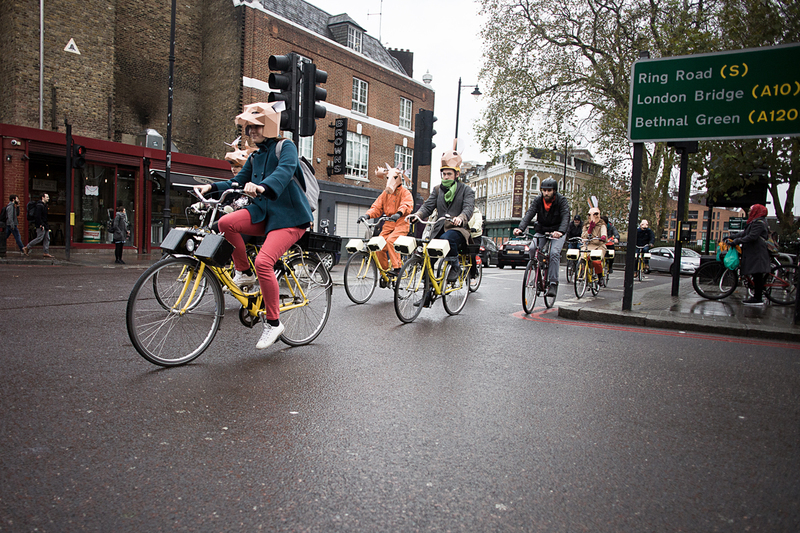 Two hours before the march left Hyde park, 10 sonic bikes roared, squawked, chirruped, growled, purred, peeped, howled and clattered their way west from Hackney along Oxford St, ridden and accompanied by animal masked riders from the BRI studio. 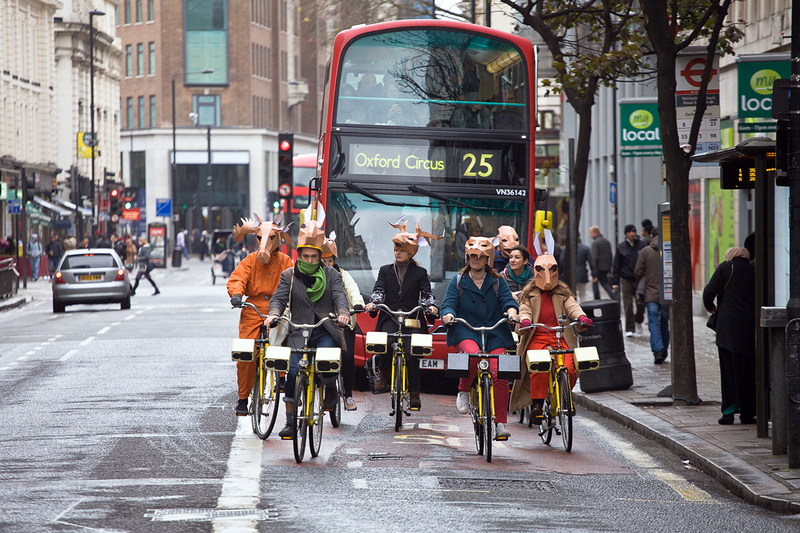 Calling out to other cyclists and passers-by, the riders made a big shout out to central London’s distracted christmas shoppers, inviting them to join the Climate March. 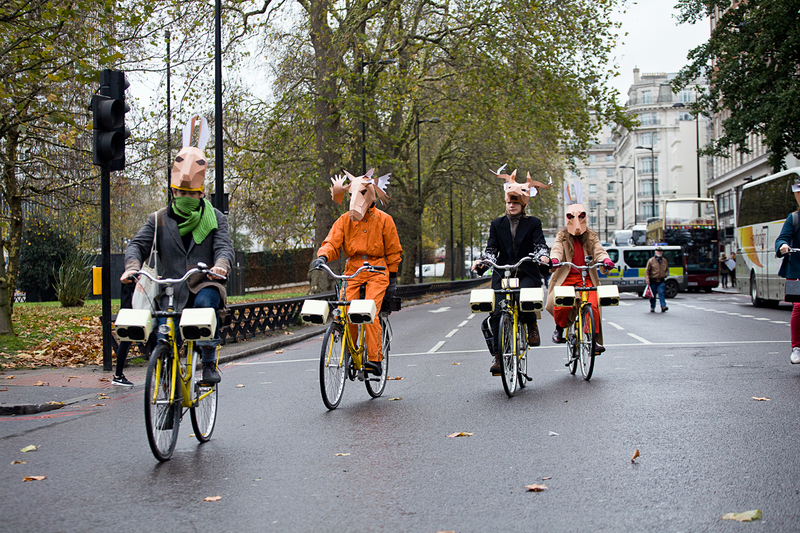 ‘Animals March’ arrived at Hyde Park just as the Climate March began, joining the 70,000 marching for climate action, justice and jobs in advance of COP21 Paris. 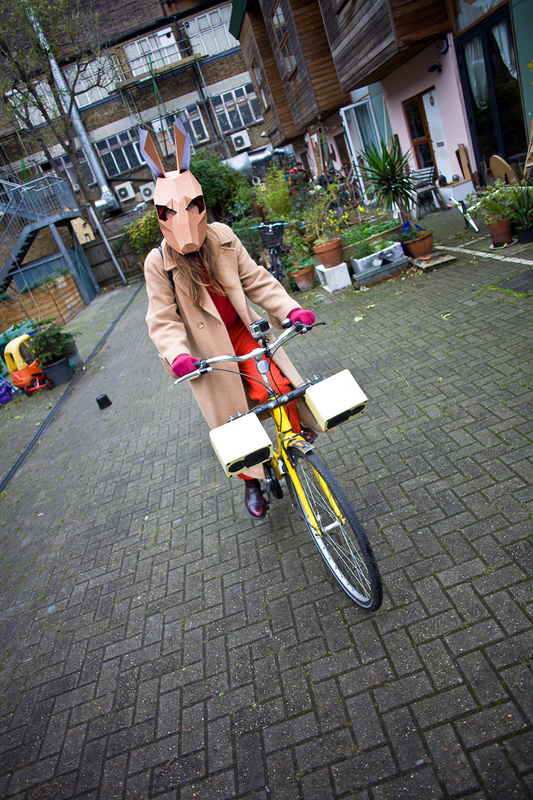 Sounds by: Artur, Hannah, Kaffe, Lisa, Michael, Paula, Stephen, Els VIane, Chris Watson, British Library, Miguel A. Garcia. 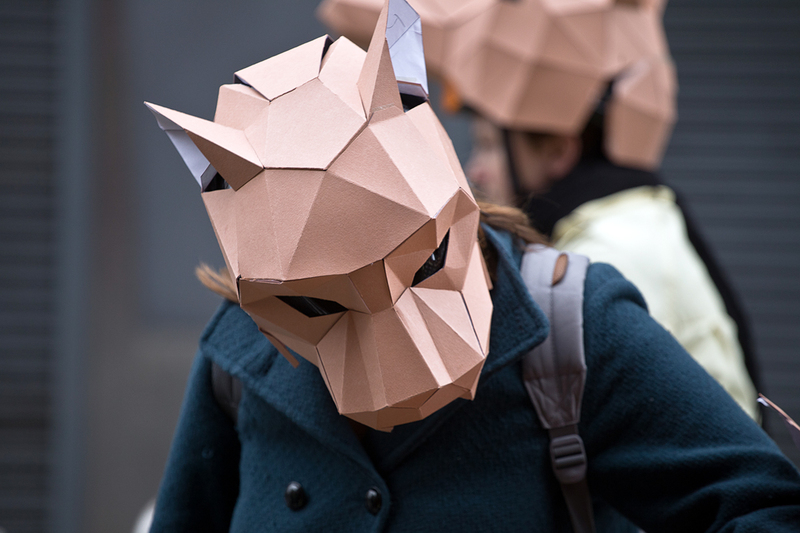 FACEBOOK EVENT – for more pictures and messages. 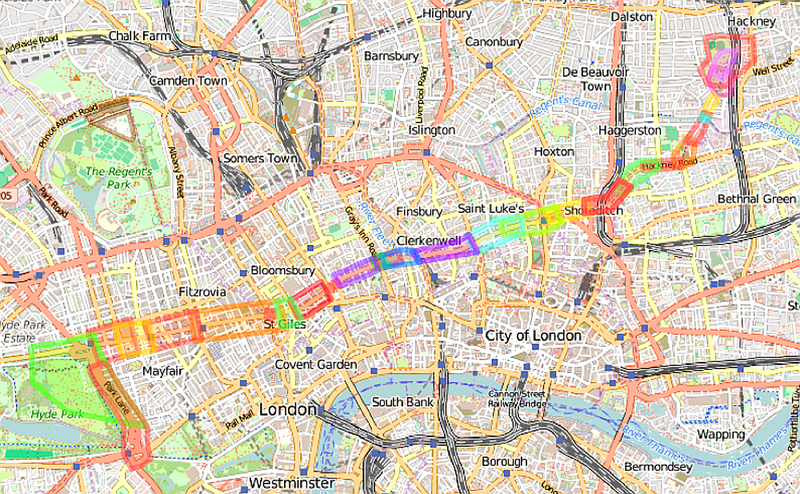 NightingaleSong (loop) from BRI studio, across London Fields and on surrounding roads. 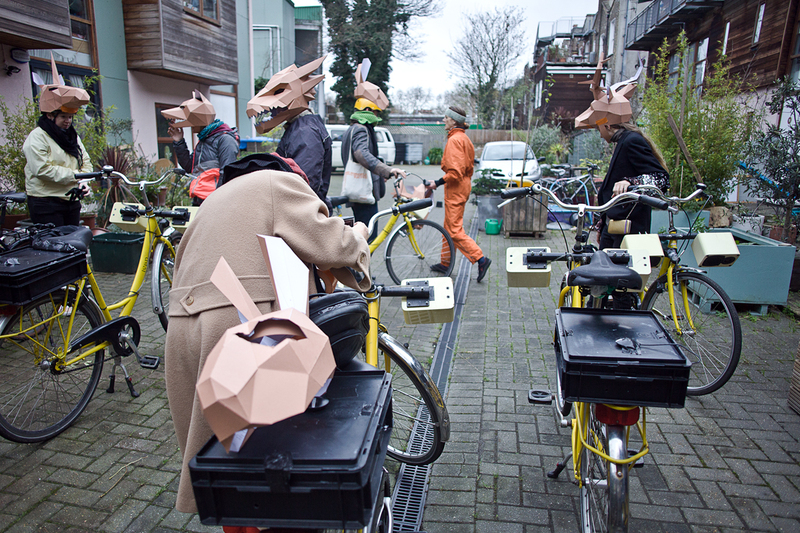 DaubentonBat (loop) along Goldsmith’s Row.